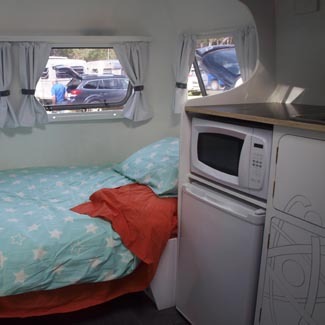 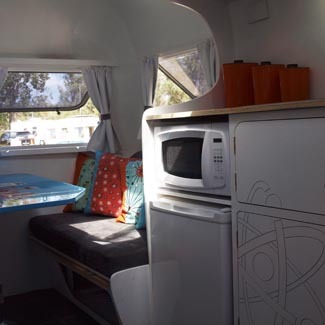 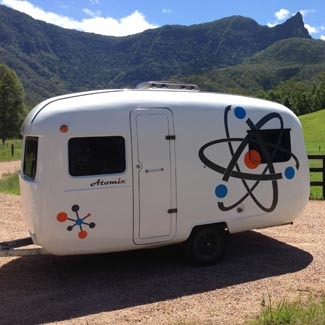 Enjoy the funky ‘atomic era’ styling of this comfortable renovated Sunliner caravan at your fully set up site for a getaway with a difference. 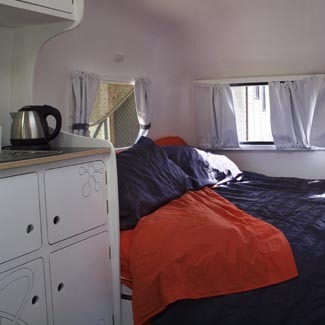 She sleeps 2 in comfort with the option of converting the seating area to a single bed to sleep 3. 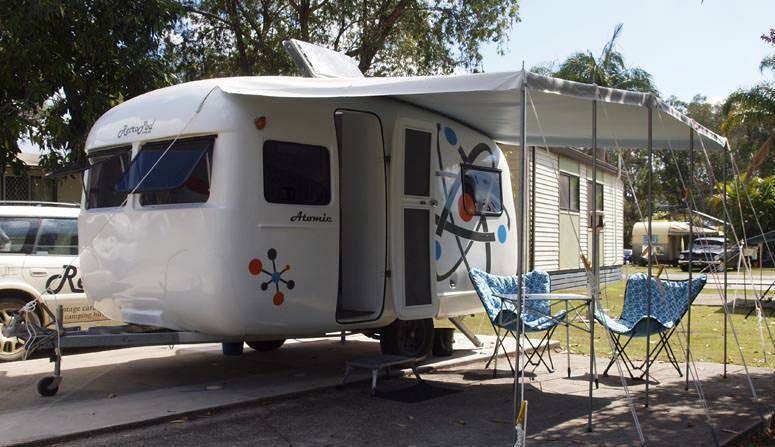 Contact Helen on 0409 152 885 or email retropodcamping@gmail.com for availability and other enquiries.